Art Palm Springs will take place in the Palm Springs Convention Center from February 17th - 19th, 2017. Please join us at Booth #502. For Art Palm Springs, artist Danny Heller will release a limited edition print of his painting "Butterfly Roof and Inner Tube." In addition, on Saturday, February 18th at 2:30 pm we will hold a print signing event with the artist at the George Billis Gallery booth. A limited number of complimentary First Look VIP passes are available, please email LA@GeorgeBillis.com for more information. 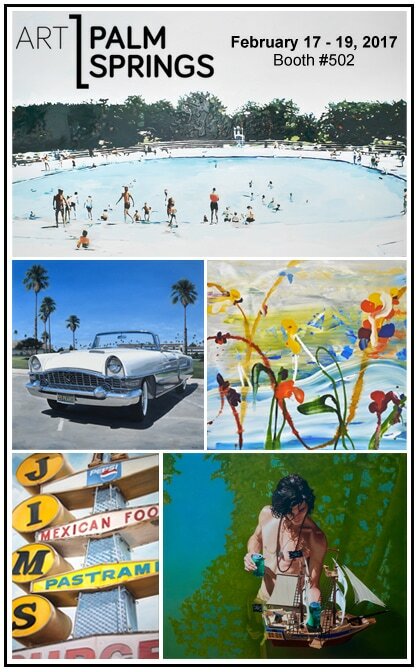 Visit Art Palm Springs for hours, address, and other information.